When people are first diagnosed with Parkinson’s, their initial thought may be whether or not the disease will kill them. Parkinson’s disease is often misunderstood, so many seniors worry that a Parkinson’s diagnosis means death is just a few years away. The reality of Parkinson’s disease is actually a lot more reassuring. Here are some things to know about how Parkinson’s affects a senior’s life span. Parkinson’s disease is a progressive condition that gradually worsens. Seniors typically start with light tremors or briefly rigid muscles that can easily be managed with medication. Over the course of several years, Parkinson’s progresses to more severe stages in which it’s difficult to do daily tasks and medications don’t prevent symptoms as effectively. Eventually, seniors with Parkinson’s end up having severe mobility difficulties, and they may develop dementia or other mental health issues. Not all seniors with Parkinson’s reach the later stages where they’re almost completely immobile. Some may pass away while they still retain some control over movements. Parkinson’s itself isn’t a fatal condition. Unlike some other health conditions, it doesn’t directly result in death. The main reason Parkinson’s can cause some issues is because of the symptoms. Seniors often have difficulty swallowing or are more likely to fall, and these sorts of incidents can result in accidents that may be deadly. Because the symptoms of Parkinson’s can be dangerous, seniors who want to extend their life spans need plenty of care and focused attention in the later stages of the disease. Difficulty swallowing and other safety issues in the advanced stages of Parkinson’s disease can make caring for seniors increasingly challenging. Aging in place can present a few unique challenges for older adults. Some only require part-time assistance with exercise or meal preparation, while others are living with serious illnesses and benefit more significantly from receiving live-in care. Portland, ME, Home Care Assistance are leaders in the elderly in-home care industry for good reason. We tailor our care plans based on each senior’s individual needs, our caregivers continue to receive updated training in senior care as new developments arise, and we also offer comprehensive care for seniors with Alzheimer’s, dementia, and Parkinson’s. The typical senior with Parkinson’s disease doesn’t have a drastically shortened life span. 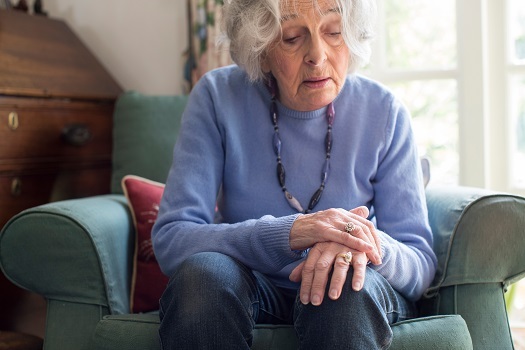 On average, people begin developing Parkinson’s around the age of 60, and they live somewhere between 10 to 20 years following the diagnosis, which means most seniors can still have full lives despite their diagnoses. Death rates for aging adults with Parkinson’s are a little higher than those for healthy seniors, but they’re comparable to those for seniors who have had heart attacks or hip fractures. An in-home caregiver can be a fantastic asset for seniors with Parkinson’s who want to alleviate their symptoms by adopting healthier lifestyles. When considering home care, Portland, ME, families should make sure their senior loved ones have the resources they need to maintain their independence and remain healthy. Trusted in-home care professionals can assist seniors with daily tasks like cooking, bathing, and exercise, and they can also encourage them to focus on healthier lifestyle habits. Research from 2013 published in JAMA Neurology followed 140,000 people with Parkinson’s over the course of six years to see how the condition affects life expectancy. According to the study, the majority of seniors with Parkinson’s disease pass away due to things like pneumonia, heart disease, and infections. These health conditions are problematic for healthy seniors, so for seniors with Parkinson’s disease, it may be more difficult to recover. Caregivers who want to help their loved ones enjoy long lives need to make sure they consult doctors about any potential health issues. It’s also important for seniors with Parkinson’s to try to eat well and exercise regularly so they can stay as healthy as possible. Professional caregivers can be a wonderful source of support for seniors with Parkinson’s who need help preparing nutritious meals, exercising safely, and completing daily tasks. Families looking for top-rated Portland home care service providers can reach out to Home Care Assistance. From respite care to specialized Alzheimer’s, dementia, stroke, and Parkinson’s care, there are many ways we can make life easier for seniors and their loved ones. Trust your loved one’s care to the professionals at Home Care Assistance. Reach out to one of our compassionate Care Managers today at (207) 835-4849.